Gahyeon of the Dream Catcher is making special birthday together with the fans. 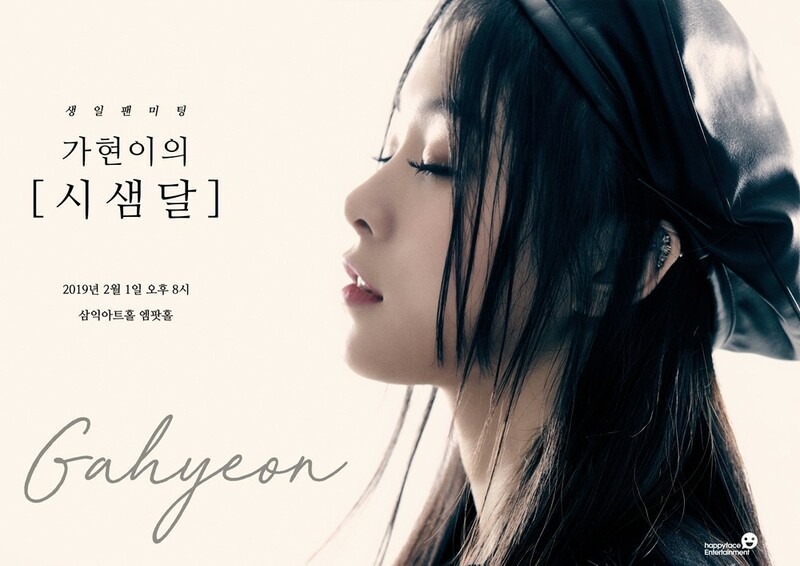 According to Happy Face Entertainment on the 1st, Gahyeon held the fan meeting for her birthday at ‘M-POT Hall of Samick Art Hall near Hakdong Station, Gangnam-gu, Seoul at 8 pm. Especially, as the comeback promotion started with the mystery codes, the fans interests are gathering and the ticket reservation of Gahyeon’s birthday fan meeting was also very hot. Meanwhile, Dream Catcher is preparing the last part of their comeback in mid-February. And they plan to communicate with the fans by holding tour concert in 5 countries of Asia and in Korea as well.